A5 leaflet, introducing Mango's aims and encouraging referral. Mango is an organisation dedicated to providing services and resources to help NGOs around the world to make the most of their money. 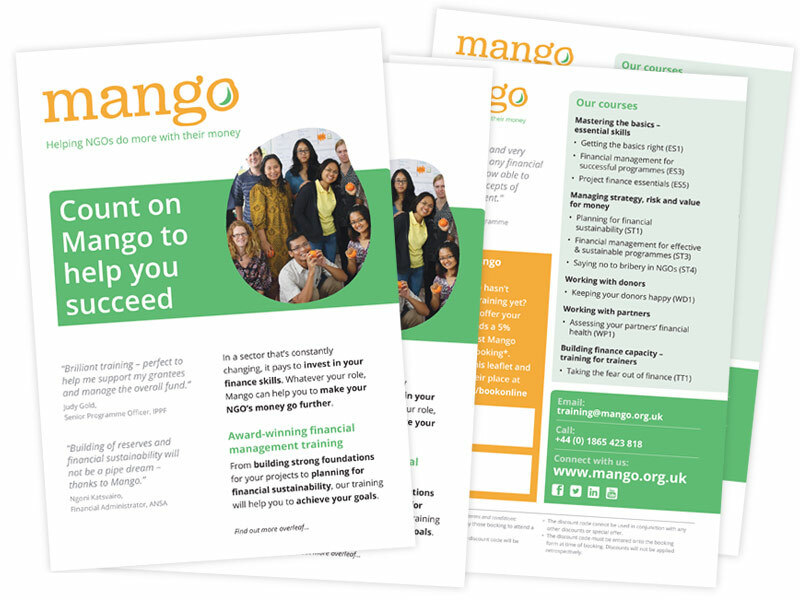 Working within their existing brand guidelines, this double-sided leaflet introduces Mango, provides an overview of courses and services on offer, and encourages client referrals.